The Kickstarter campaign for my latest short film project ‘The Treehouse’ goes live just after easter! The film is being supported by the BFI and Creative England and whilst we have already matched their investment we need to raise a little bit more to enable us to build a set that is integral to the story. The film is firmly in a ‘magical realism’ world and the flexibility that building the interior of the treehouse will give us will make a huge difference to the look and film of the film. Set in the shadow of a family funeral, ‘The Treehouse’ is about a young boy Connor, and his mum, as they come to terms with a death in the family. To cope, he retreats to the treehouse he built with his father and where they spent many happy times together. Whilst there he meets Fleur, an enigmatic girl from next door who appears offering chocolate and friendship. She talks her way into the treehouse and into his life and helps him to face up to the future. We have assembled a great cast of kids along with an experienced crew and production is scheduled for the end of May. We’ll be launching a mini-site just for the film but there will be updates on here as well as twitter, Facebook etc. The Treehouse is a co-production by Angelic Films in association with Haus Pictures and Sleepless Films. 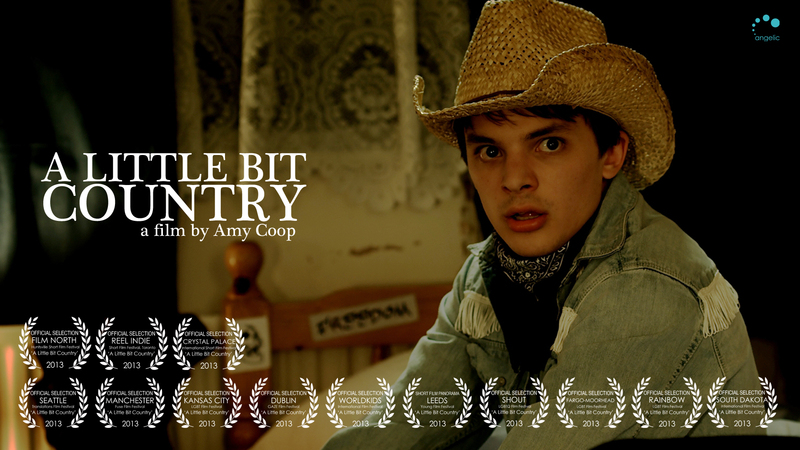 ‘A Little Bit Country’ picks up two more US Film Festival selections! It seems that my short film ‘A Little Bit Country’ is still going strong in the US, picking up two more official selections at film festivals. I can’t announce which ones yet but if you happen to be in the Windy city or the Big Apple in 2014 you may be able to catch a screening 😉 ! ‘Epitaph’ is an Official Selection for the Birds Eye View FF! I’m very excited that my short film ‘Epitaph’ is an official selection for this years Birds Eye View Film Festival taking place at the BFI in London. The film is screening alongside four other short films from up and coming British female filmmakers on April 12th at the prestigious BFI theatre on the Southbank. I’ll be there supporting my film and the other amazing women filmmakers, so I hope you can join us! ‘The Treehouse’ starts to take shape! 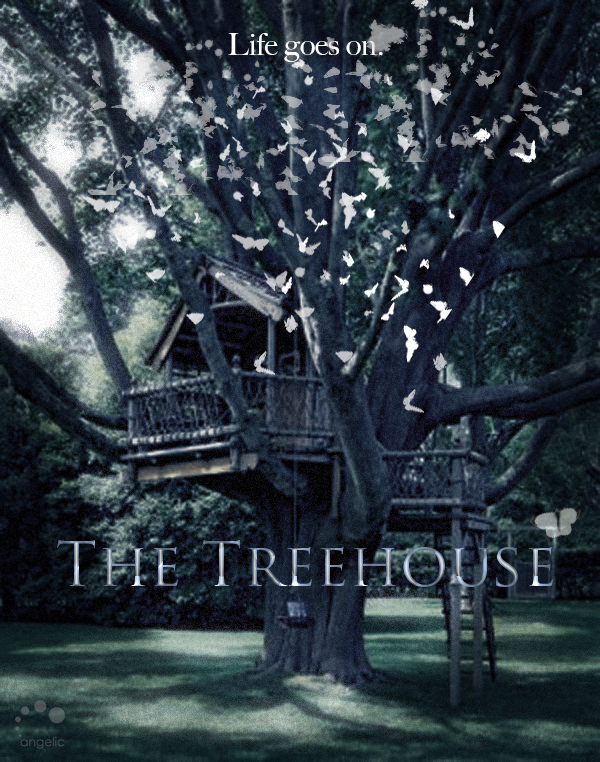 My next short film project, ‘The Treehouse’ has started pre-production and will be shooting in late April. It is an ambitious dark fantasy drama set in the aftermath of a family funeral, when a young teenage boy retreats to the treehouse he built with his father and proceeds to shut out the world. There he meets an enigmatic young girl from next door who helps him to let go. ‘A Little Bit Country’ gets a great review from NextProjection.com! Here’s some of the highlights, but click on the link below to check out the full review for yourself. “That’s the genial genius of this little film from Amy Coop: treating a silly subject with deadpan drama, it becomes about so much more than it seems. Handsomely shot, A Little Bit Country effectively channels professional productions into this pristine passion project. Expertly spread across just seven minutes, it’s a film that understands perfectly how to play its cards, emphasising awkwardness to bait a final sweet reveal. Hi! Welcome to my world. I am a writer/director and producer of short, feature and documentary films. You can find details of most of my films here, along with production stills, behind the scenes information and trailers. I have particular experience of working with kids and young people (but I’m just as happy working with grown ups too…). In addition to my Directing work, I can still be found working as an AD on Features and Drama. ‘The Treehouse’ wins BEST SHORT FILM at the 2015 Tupelo Film Festival! ‘The Treehouse’ wins BEST CINEMATOGRAPHY at the 2014 Underwire Festival in London! Congratulations to DoP Gabi Norland and her team! ‘The Treehouse’ wins an AUDIENCE AWARD at the On The Edge Film Festival in the US. ‘The Treehouse’ wins BEST ORIGINAL SCORE at the 2015 MediaMusic awards in Moscow! ‘A Little Bit Country’ received it’s Australian Premiere at the Melbourne Queer Film Festival in 2015! The film had a strong 2013/14 festival run in the US, UK and around the world and continues to find audiences all over the place :-). 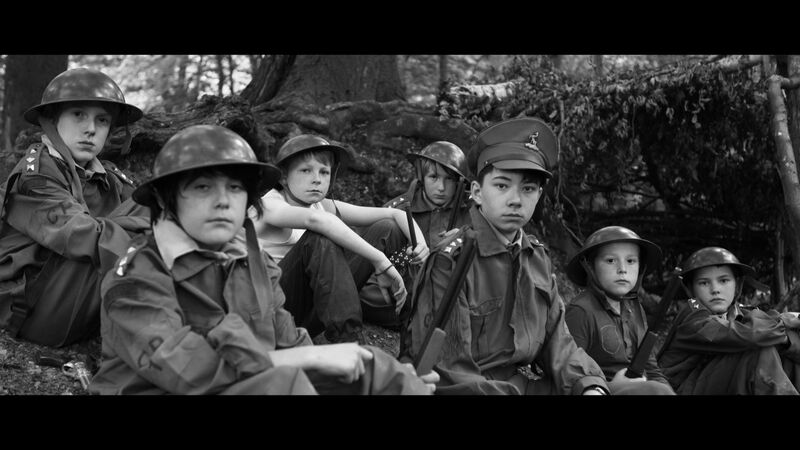 My award winning short film ‘Boy Soldiers’, produced with the kids from PQA Aylesbury, screened for 3 weeks at the Imperial War Museum in 2014. Check out the blog post below for more details! ‘Epitaph’ was selected for the Pune Short film festival in India. In 2013 it was nominated for an award in the Writers category at the Underwire Film Festival in London and was one of just 5 British short films selected for the Birds Eye View Film Festival at London’s BFI on the south bank. It was also selected for screening in at the Directors UK festival in London in June 2014.